We wish we could take credit for that quote, but we have to give credit to the famous philosopher and writer Euripides. If a famous writer concerned with life's biggest questions took the time to speak about wine, that should show you how important wine is in our culture. No meal is truly complete without wine whether that's a fancy romantic dinner or a simple family get-together. 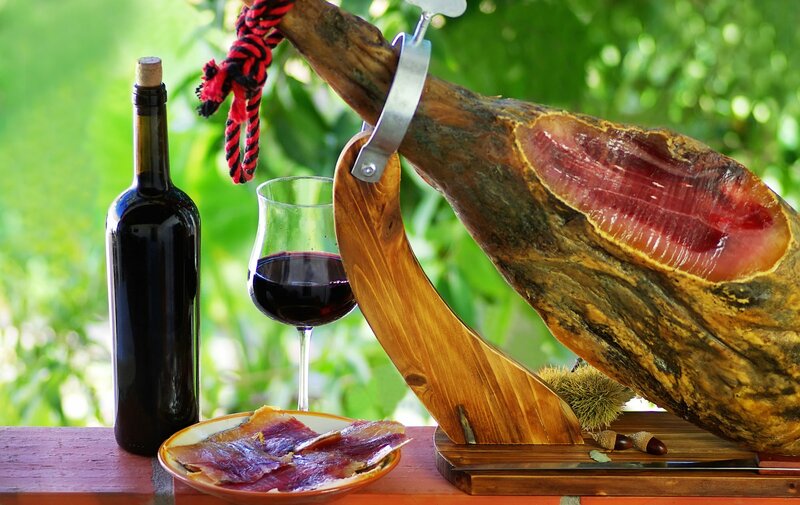 Spain is one of the top wine producers in the world with several famous varieties of wine. If you're living in Spain, visiting Spain, or simply enjoying a Spanish meal at home, you must try Spanish wine. While Spain is known for its reds, don't discount white, rosé, and sparkling wines from this region. You'll do yourself a disservice if you don't try some of the best Spanish wines, so keep reading to learn our favourites. Rated the number one Spanish wine of 2017 by wine critic James Suckling, this rich wine has all the characteristics of a great red: deep flavours, rich tastes, and notes of berry. It also features oak, some spice flavours, and slight floral undertones to combat the nice level of acidity. Tasters describe this wine as elegant and indulgent, which would make it perfect for a romantic evening, a fancy dinner, or a night of luxury. White wines aren't as well-known in Spain, but don't give up on them. Many delicious, light, and floral white wines come from the Rías Baixas region of Spain. One of the best options available is the Val do Sosego Albariño 2016. Unlike many other white wines, this option isn't as sharp. However, the smooth flavour goes well with the usually sharp citrus flavour and is rounded out with hints of peach and melon. This would go well with a traditional Spanish seafood dish. Rosé popularity has skyrocketed recently becoming one of the most popular types of wine in the world: one manufacturer estimates their production went from 200,000 bottles in 2012 to over half a million in recent years. Spanish wine labels aren't exempt from this trend. Try the Muga Rosado Rioja for a lightly sweet and flavourful rosé with hints of apple, cherry, and citrus. If you don't mind spending a bit more for a delicious wine, then this 2008 sparkling wine is perfect for you. With only about 3,500 bottles produced, it might be tough to get your hands on. But it's worth it. It has a taste of honey with mineral undertones, giving it a simultaneously warm and earthy flavour. The bite of the bubbles are reminiscent of champagne, but the richness and elegance slightly overpower the bright snappiness of the bubbles. Best Spanish Wines: Which Will You Try? Obviously, this isn't an extensive list of all the best Spanish wines in existence. But it's a great starting point for you to start enjoying all that Spanish wine has to offer your palette. But wine is about more than taste. It's about culture, family, food, socializing, and history. Learn more about Spain and what it's like to live here by reading this article.